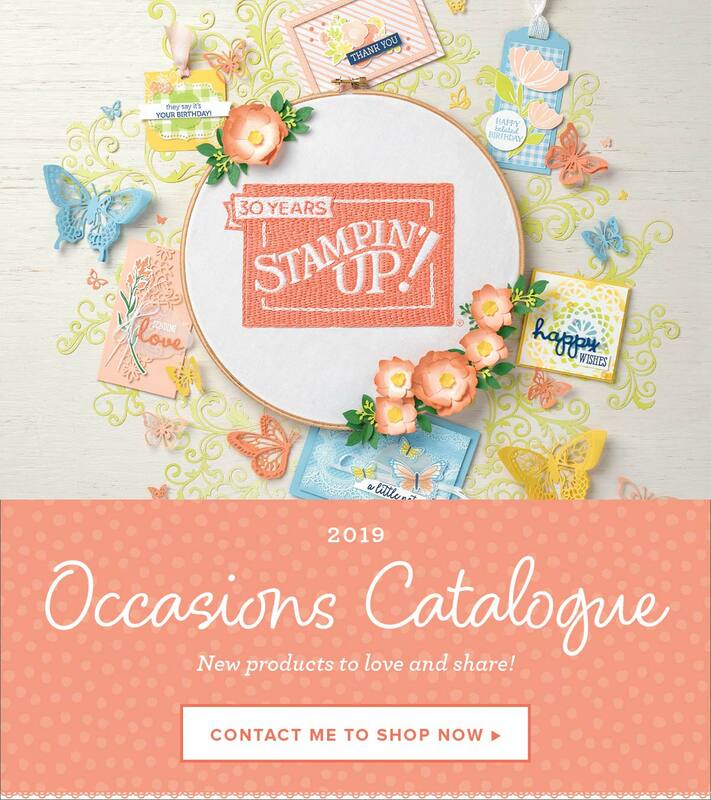 Karen Robinson – Independent Stampin’ Up! Demonstrator – Good things come in small packages! As mentioned in my last post I was trying to come up with something different to put in my teabag holders, I love it when I can use something specifically designed for one thing in a new way. Anyway, I started thinking of place cards and ended up with a bundle of teeny tiny cards and envelopes. These cards are really small, just 2 1/2 x 3″, but just the right size to pop in a bunch of flowers or add to a small gift, jewellery comes to mind ; ) The cards were made from Thick Whisper White cardstock cut at 3 x 5″, scored at 2 1/2″. The wreath from Circle of Spring was stamped in Basic Grey and I used my aqua painter to lightly colour the leaves in Mint Macaron and the flowers in Blushing Bride. I’ve only just discovered water colouring, it’s very forgiving (thank goodness) and I like that it’s not meant to be precise. I chose the thick whisper white because I was going to watercolour and this cardstock can handle light water colouring without warping. The wreath goes onto the back of the card just a little and I like the look but you could easily stamp off the edge if you preferred. The sentiments in the middle are from the Circle of Spring stamp set, I only used two but there are six different sentiments and they all fit inside the wreath. They were stamped in Mint Macaron and Blushing Bride and the cards were finished off with pearls inside the five petal flowers. I used the envelope punch board (item # 133774) and paper from the Love Blossoms paper stack to make matching envelopes, it’s such a versatile tool if you need out of the ordinary envelope sizes. It’s a very easy to use, just find your card size on the table and it will tell you what size to cut your paper and where to make the first score line. These cards needed the second smallest size, the paper was cut at 5 x 5″ and the score line was at 2 3/8″. Note: these envelopes won’t hold a gift card, they are taller but not as wide as a standard gift card, however the starting paper size is the same, just the first score line is different. You can fit four cards into the pockets on the holder (two in each) and their envelopes in the middle. I think these would be a rather sweet gift for someone who likes to give “just because” notes and would brighten anyone’s day to receive one. This project turned out so much nicer than I’d expected, I was thrilled with the end result. As I mentioned earlier the envelopes to fit these cards only required a 5 x 5″ piece of paper so I had 1″ strips left over. I like to be frugal with my paper and what I mean is that I like to use it, but I like to use all of it, I hate waste, so have come up with another project that uses up those strips and I get a coordinating item to add to my bundle of goodies. I hope you’ll come back to see. Circle of Spring Envelope Punch Board Love Blossoms Mini Card Mother's Day Stampin' Up! Previous Post Mother’s Day, it’s in the bag! Next Post Going, going, gone!